UM Libraries Digital Exhibits | Valiant Ventures · Cleared to Land: The Records of the Pan American World Airways, Inc. 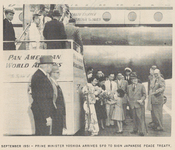 In the course of building a vast international aviation network, Pan American Airways developed an increasingly close relationship with the U.S. government. This caused some to regard the company as America's "chosen instrument". Indeed, Pan Am played an important role supporting the American military in World War II, the Korean War, Vietnam War, and other military operations. On December 7, 1941, Pan Am facilities came under attack as the Japanese bombed Pearl Harbor, Wake and Midway Islands. The Philippine Clipper was struck by bullets from a Japanese fighter plane before taking off from Wake Island and making it safely back to the United States. Their daring escape brought back some of America's first reports of the emerging war in the Pacific. From that day forward, the airlines’ transoceanic routes, air fleet, and trained aviators helped support the Allied war effort. At the time, Pan Am had nine B-314s and two Martin M-130s in service (the Hawaiian Clipper having mysteriously disappeared en route to Manila in 1938), plus a fleet of land-based planes. Many of Pan Am’s planes were commissioned into military service, transporting military personnel and equipment and flying special missions, and they made vital contributions to the Allied victory. Pan Am aviators flew over 700 special missions and played a crucial role in transporting Allied leaders overseas. Unlike military aircraft, civilian planes could often land in neutral territory without hindrance. 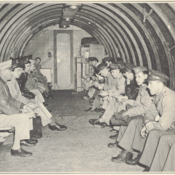 Because written and radio communications could easily be intercepted, aviation was a critical component of diplomacy, facilitating face-to-face negotiations. 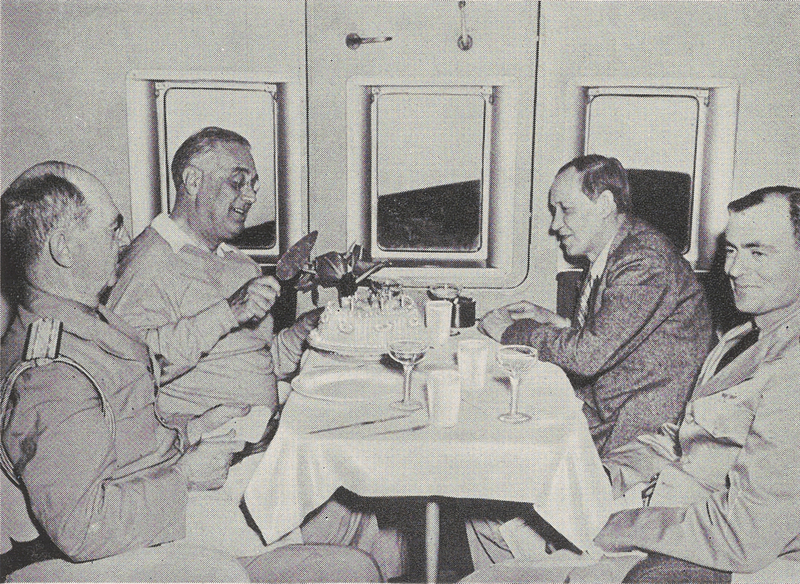 Franklin D. Roosevelt was the first president to fly while in office when he flew aboard Pan Am’s Dixie Clipper to meet with Winston Churchill in Casablanca, Morocco, in 1943. During the war, many established air routes were either blocked or too treacherous, so it was necessary to map new routes to transport military supplies and troops and to avoid enemy fire. One of the new routes, depicted at right, was known as the "Cannonball". 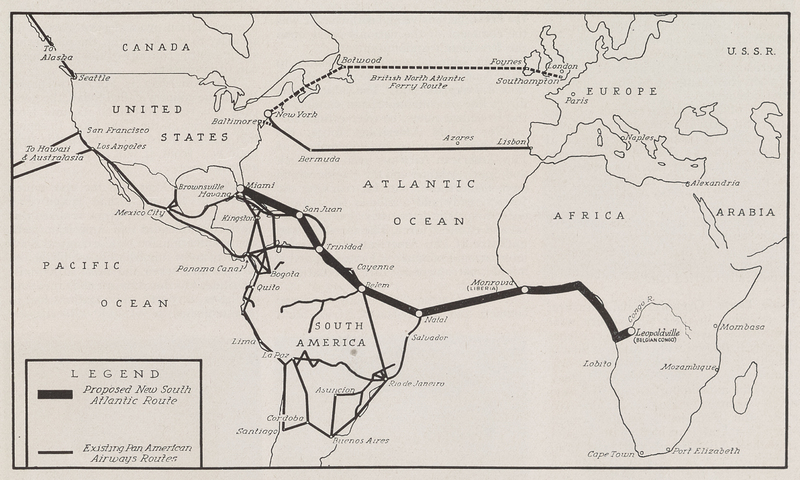 Originally established by Pan Am's Africa-Orient Division, the 11,500-mile route originated in Miami, with stops in the Caribbean and South America, before crossing the southern Atlantic to Pan Am’s air stations in Africa. The air route known as "The Hump"
After stopping in Africa, pilots could then fly to India, to the headquarters of Pan Am subsidiary China National Aviation Corporation (CNAC). From there, supplies could be ferried over "The Hump" - i.e. across Burma, over the Himalayas and into China. This treacherous and critical lifeline, established by CNAC pilots before Pearl Harbor, traversed 20,000 foot peaks, oftentimes flown "blind" on instrumentation alone and in poor weather conditions. WWII posed numerous logistical challenges, and delivering supplies quickly was essential to Allied victory. In 1943 alone, Pan Am ferried over 84 million pounds of air cargo to the war front, nearly 14 times the amount it had carried in 1940. Pan Am transported a wide variety of supplies, ranging from gasoline, spare parts and radio tubes to raw materials including rubber, tin, mercury, and tungsten. Medical supplies such as penicillin, bandages, and blood plasma were also crucial. Additionally, Pan Am transported mail, carrying millions of letters and V-mail (short for victory mail) to the troops. Developed by Eastman Kodak Company, microfilmed v-mail saved many cubic tons of space aboard aircraft. 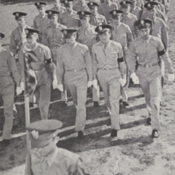 Pan Am's skilled flight crews were instrumental in advising the military on overseas flying techniques. They also provided air support and trained new air crews. 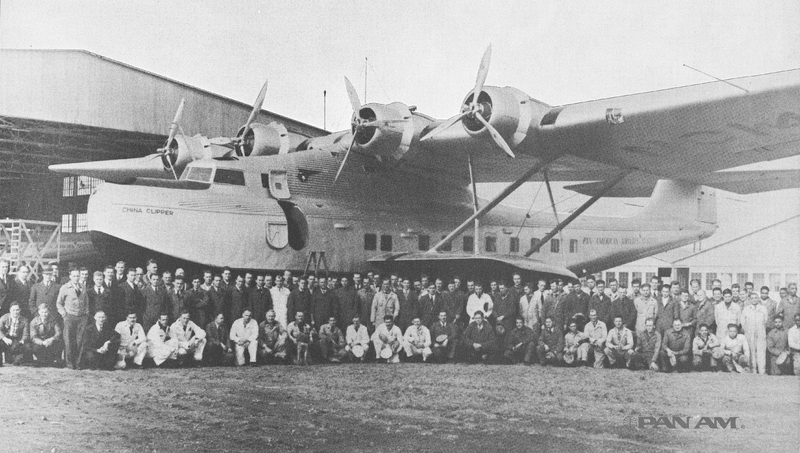 In the early years of the war, they ferried over 540 bombers and transports to the war zones. 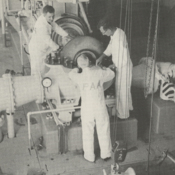 Operating a navigation school at the University of Miami and training facilities elsewhere in Miami and the U.S., Pan Am crews trained over 5,000 pilots and mechanics, plus thousands more men and women for various wartime occupations. The U.S. government relied heavily on private companies to transport troops and supplies, and of these, Pan Am was the largest air transport contractor. Virtually all of the company's resources were allocated to the war either directly or indirectly. 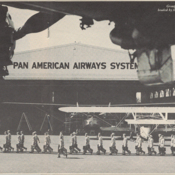 In addition to providing equipment, skilled personnel, and transportation, Pan Am operated nearly 50 air bases in 15 different countries. Its Alaska Operations, which the company had established in 1932, became a strategic launch point for U.S. Naval operations during the war. Pan Am's services were contracted through the Naval Air Transport Service and the Army Air Forces Air Transport Command, whose officials greatly praised the company's extensive efforts. Pan Am suffered considerable loss due to the war - over 200 employees gave their lives, at least 45 became prisoners of war, and over a dozen aircraft were destroyed. 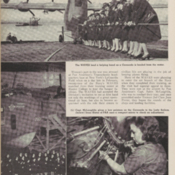 At the end of the war, Pan Am turned its efforts to recovery, helping the United Nations Relief & Rehabilitation Agency (UNRRA) resupply war-torn Europe. So great were the company's wartime contributions, that President Truman presented Juan Trippe with the Harmon Trophy for "outstanding leadership, patriotism, and unselfish devotion to the security and economic progress of the United States". 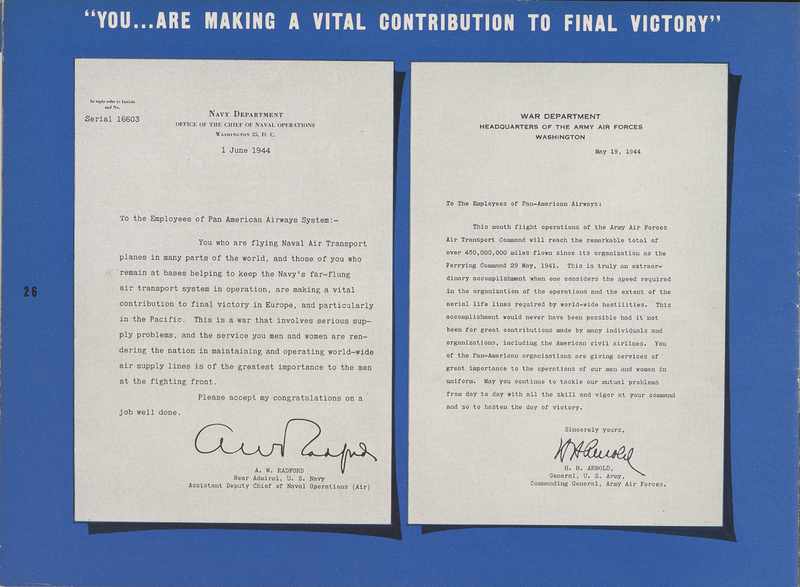 Pan Am's can-do spirit continued as the post-war years gave rise to the Cold War. When the Soviet Union attempted to block supply routes between East and West Germany, Pan Am played a supporting role as the Western Allies organized and operated the historic Berlin Airlift. 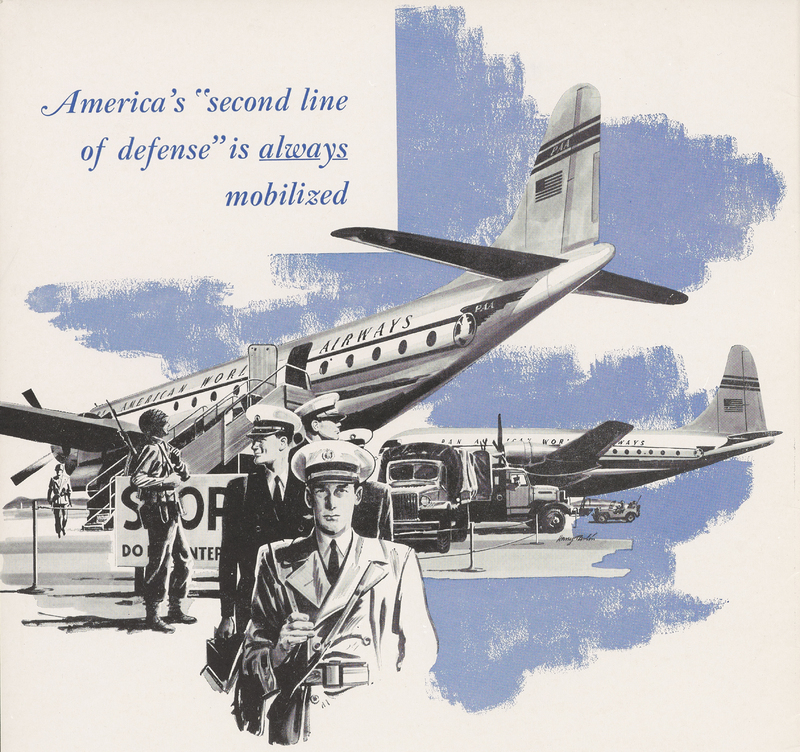 Pan Am saw itself as "America's second line of defense", and its involvement with U.S. military operations continued until the company's dissolution in 1991. Pan Am airlifted troops and personnel in the Korean War, the Vietnam War, and the Persian Gulf War. The airline also had a long-running relationship with the White House Press Corps, transporting them on chartered flights to events around the globe. 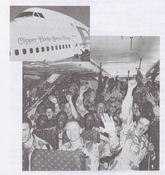 Pan Am's station manager in Vietnam, Allen Topping, organized the last commercial flight out of Saigon in April 1975, with 463 people aboard the Clipper Unity. These heroic efforts were portrayed in the film Last Flight Out, starring James Earl Jones in 1990. 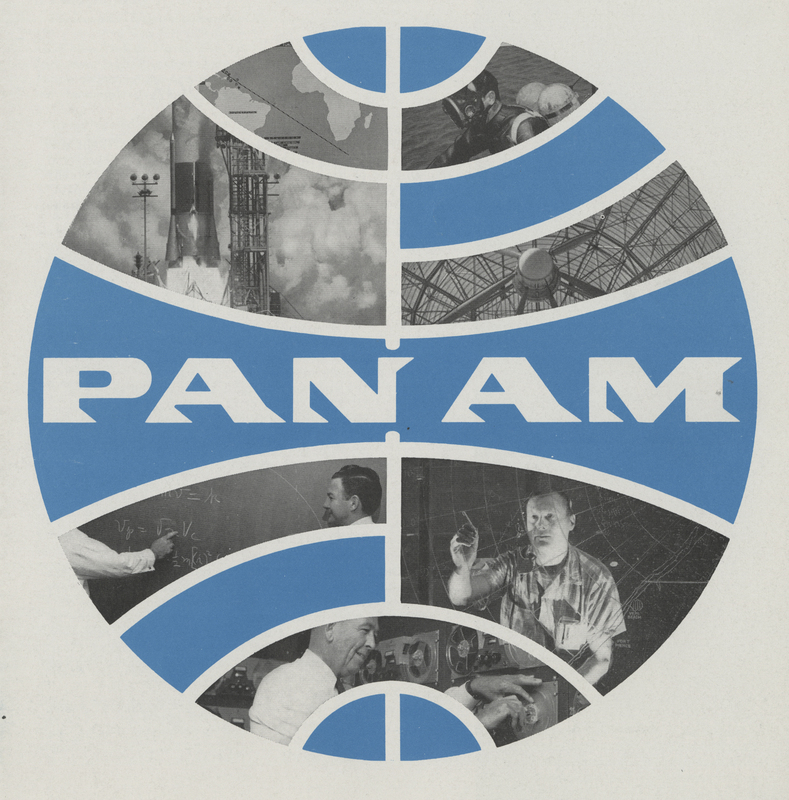 In addition to supporting U.S military initiatives, Pan Am was also involved in America’s aerospace and missile programs. 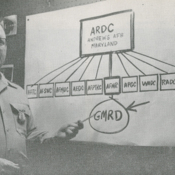 In 1953, Pan Am created its Guided Missile Range Division (GMRD), which was renamed the Aerospace Services Division in 1967. By the early 1960's, the division was generating over $90 million in annual revenue. In 1980, it became part of Pan Am World Services, Inc., which was the company's most lucrative subsidiary. The Aerospace Services Division’s roots stemmed back to World War II, when the U.S. military began testing captured German ballistic missiles and developing its own missile program. 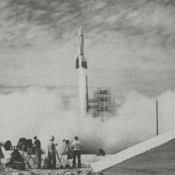 In 1953, on the eve of the Space Race between the U.S. and the Soviet Union, the U.S. Air Force sought a civilian contractor for the daily management and maintenance operations of its Eastern Test Range, headquartered at Patrick Air Force Base in Cape Canaveral, Florida. With extensive experience in outfitting and operating air bases, Pan Am was uniquely qualified for the role and received the contract. 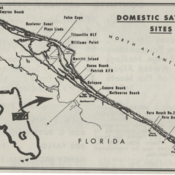 In addition to the 12 stations it operated for the Eastern Test Range, the division also managed 17 domestic satellite bases along Florida's east coast from Jupiter to New Smyrna Beach. 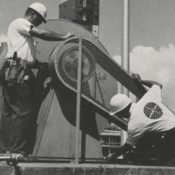 Employing nearly 7,000 workers at its height, the division was instrumental in supporting the U.S. space program. 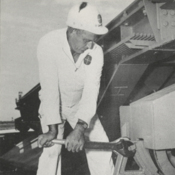 The Aerospace Services Division’s operational responsibilities covered a wide array of duties including submarine cable laying, maintenance, engineering, planning and design, storage and transport of missile fuel, launch pad safety, and the provision of security, fire, medical, and commissary services. Downrange support for missile tests included command/control, tracking, radar support, and even diving for nose cones. 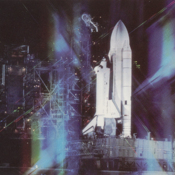 By the 1980's, Pan Am World Services had provided support for over 2,500 launches at Cape Canaveral and serviced every major space program including Mercury, Gemini, Apollo and the Space Shuttle. 1. Pan American World Airways, Inc. (1977) The first 50 years of Pan Am: the story of Pan American World Airways, Inc. from 1927 to 1977. 4. Miller, D. (2015) "Pan Am & the race to space", Pan Am Historical Foundation. 5. Whitaker, B., et al. (1984: Mar.) 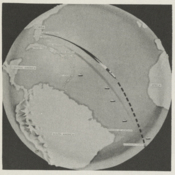 "ETR: how an airline entered the Space Race", WS News, Vol 4(2): 12. 6. Hart, C., Mills, A. J., Mills, J. H., & Durepos, G. (2009) "Guiding the Space Age from the ground up: Pan Am, Cold War, and guided missiles"
Management & Organizational History, v. 4(3): 229-245. 7. Pan American World Airways, Inc. (1942) Wings Over the World: Annual Report of the Pan American Airways Corp. for 1941. 8. Pan American World Airways, Inc. (1981) Pan American World Airways, Inc. 1980 Annual Report. 9. Pan American World Airways, Inc. (1982) Pan American World Airways, Inc. 1981 Annual Report.